Wonderful Wines & Bodacious Beers! From freshly scented, intensely flavoured Sauvignon Blanc to vibrant, supple Pinot Noirs, the Nelson region offers a great range of vineyards to visit while also offering a scattering of local breweries and brewpubs for the discernable beer lover. Small producer of handmade wines using traditional techniques. All Rimu Grove wines are produced and bottled on site at Rimu Grove Winery in our 300 square meter winery. Approximately 40-50 tonnes of grapes are harvested annually. 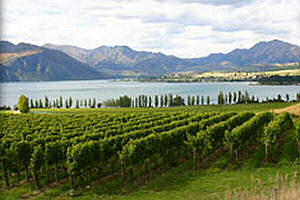 Privately-owned and managed coastal vineyard at the top of New Zealand’s South Island. Situated 25 minutes from both Nelson and the stunning Abel Tasman National Park, yet only a five minute drive from Mapua wharfâ€™s waterfront restaurants, cafes and boutique stores. 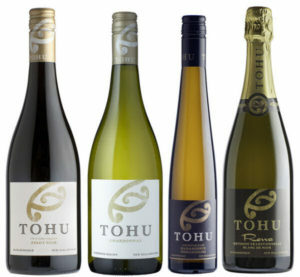 Tohu (pronounced Tor-who) is the worlds first Maori owned wine company. Since 1998 they have been making their mark on the world with their superb example of varietal excellence. New Zealand family owned boutique vineyard specialising in hand-made wines. The vineyard was first established in the early 1970’s and has some of the oldest commercial vines in the South Island. The Day family purchased the vineyard in 1998 and changed the name to Kahurangi Estate. The team at Neudorf believe their primary task is to grow grapes which express the site, to take the essence of that fruit and then preserve it as wine. On the way they may fine tune the balance and complexity in a number of ways but the aim is always to allow the site to speak. Joanne Costar & Andrew Sutherland make small quantities of wine from their 3 hectare vineyard – a truly family owned boutique vineyard. Located at the historic Mapua Wharf the Golden Bear offers live music, fantastic mexican food and of course premium quality beers all alongside their very own brewery. The distinctive range of beverages are lovingly handcrafted from traditional recipes that have been the pride of the McCashin family for almost 30 years. Located on Main Road, Stoke, Nelson. 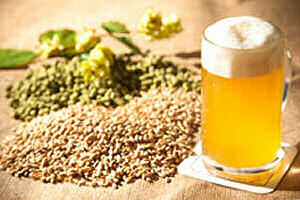 Bays Brewery produces a wide array of award winning products within its Signature Series, Brewmaster Series and Real Tasty Drink (RTD) Series. Each product offers its own unique character and emphasis on quality.